Kathie Lee Gifford is saying goodbye. Deadline reports the Today co-host is leaving the NBC TV show after 10 years. Gifford has hosted the final hour of the morning program with co-host Hoda Kotb since 2008. Previously, Gifford hosted Live! with Regis and Kathie Lee on ABC. NBC has not announced a replacement for Gifford on Today, but Deadline suggests Jenna Bush Hager is in the running. What do you think? Do you watch Today? Are you sad to see Gifford go? More about: NBC TV shows: canceled or renewed?, Today, Today: canceled or renewed? 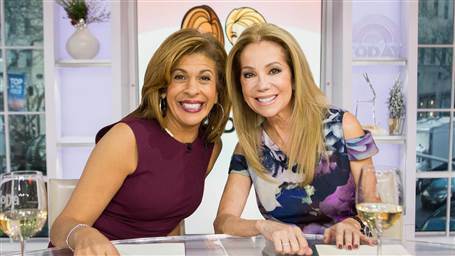 I would be sorry to see Hoda go, but not Kathie Lee. Her religious conservatism and friendship with Trump did not sit well with me.